Fred. 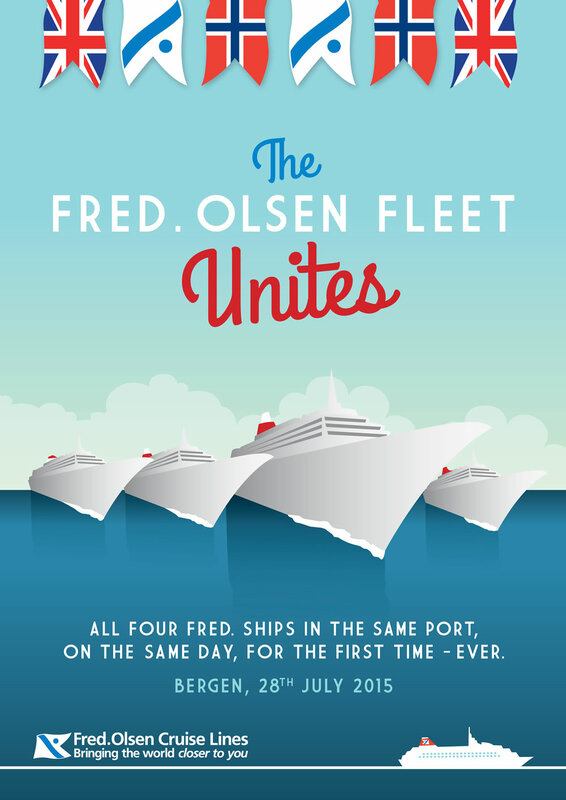 Olsen Cruise Lines’ fleet of four ships – Balmoral, Braemar, Boudicca and Black Watch – will all unite for the first time in Bergen, Norway next month. Known as the ‘4Bs in Bergen’ event the ships are expected to carry nearly 4,000 passengers to the city on the day of the event. All four ships are due to arrive at the Port of Bergen at approximately 8am on 28 July 2015, and are scheduled to depart at 6pm. Balmoral will be sailing on an eight-night Glaciers, Fjords & Waterfalls of Norway itinerary which will depart Southampton on 25 July. The ship will arrive at the Bontelabo Terminal having sailed from Stavanger. Braemar will be sailing a 14-night Falls, Fjords & Faroe Islands voyage which will depart Dover on 18 July. The ship will arrive at the Festningskaien Terminal having sailed from Akureyri, Iceland. 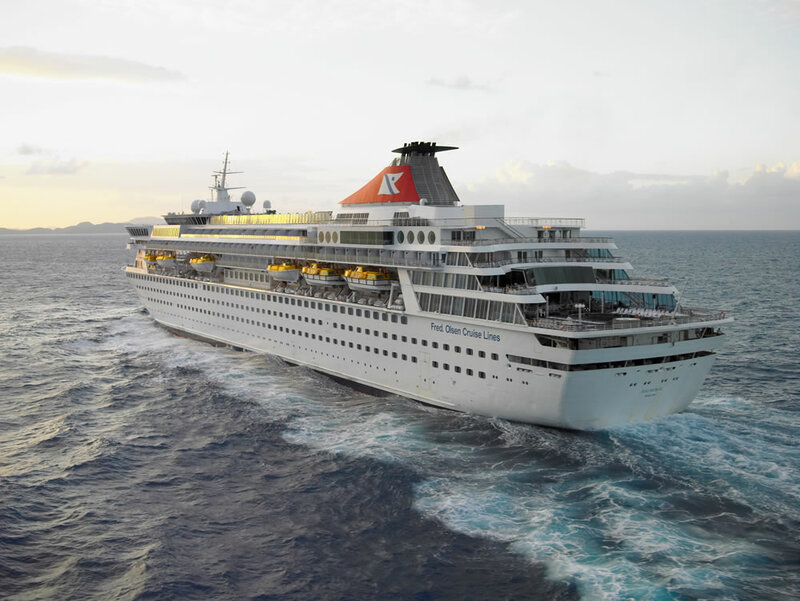 Boudicca will be sailing a seven-night Glaciers, Fjords & Waterfalls of Norway cruise which will depart Newcastle on 26 July. The ship will arrive at the Skolten North Terminal as the first call on its itinerary. Lastly, Black Watch will be sailing on a nine-night Cruising the Fjordland itinerary which will depart Liverpool on 23 July. The ship will arrive at the Skolten South Terminal having sailed from Flåm. Festivities planned for the day include Norwegian-themed marching bands, drummers and singers on the quayside, on-board entertainment and the chance to visit all four ships as they are berthed along the quayside. A water cannon send-off is also planned as the four ships leave port in formation from largest to smallest. Flagship Balmoral will depart first, followed by Braemar, Boudicca and then Black Watch. From Bergen, Balmoral will sail on to Flåm, Braemar and Black Watch will sail on to Eidfjord; and Boudicca will continue on to Ålesund.